Chris Speier’s son was drafted by the Cubs and made his big league debut for them just a few years later. The righthanded reliever was included in the trade package that brought Felix Heredia to the Cubs in July of 1998. Heredia was a bust with the Cubs, but Speier went on to make more 600 big league relief appearances for the Marlins, Braves, Indians, Rockies, Blue Jays and Angels over a stellar 12-year career. Wengert was acquired in May of 1998 from the Padres and was a spot starter and reliever for the Cubs the rest of that season. In 21 appearances he posted a 5.07 ERA. After the season he left the Cubs and signed with Kansas City. He also pitched for Atlanta, Pittsburgh, and Oakland. Bob got the most extensive playing time in his big league career with the 1952 Cubs. He was essentially a fourth outfielder filling in for Hank Sauer, Frank Baumholtz and Hal Jeffcoat. In June of 1953 he was included in the package of players sent to Pittsburgh to acquire Ralph Kiner. Pittsburgh didn’t have much use for him, and it turned out to be the end of the line for Bob. He played another few seasons in the minors before hanging up his spikes after the 1956 season. His middle name was Napoleon, but this little guy didn’t quite rise to general status in the big leagues. He played parts of two seasons as an extra outfielder for the Cubs. He hit .287 with 3 homers in 42 games. Green was a good hitting outfielder who always seemed to find a way to get on base. His lifetime on-base percentage was .359. After hitting .313 and stealing 31 bases for the 1902 Cubs (then known as the Orphans), he jumped to the upstart American League team across town–the White Sox. 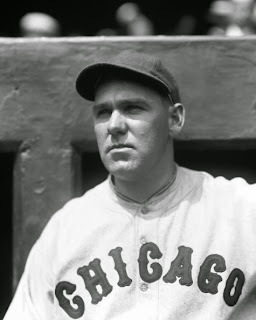 His last year in the big leagues was 1905–the year before the Cubs-White Sox World Series.